Choosing the perfect curtains for your home or office design doesn’t stop at color, fabric and texture. Different hanging styles can impact the aesthetic and functionality of your window treatments to ensure a finished look that you love from top to bottom. Here’s a 101 on different hanging styles and how you can incorporate them into your favorite space. 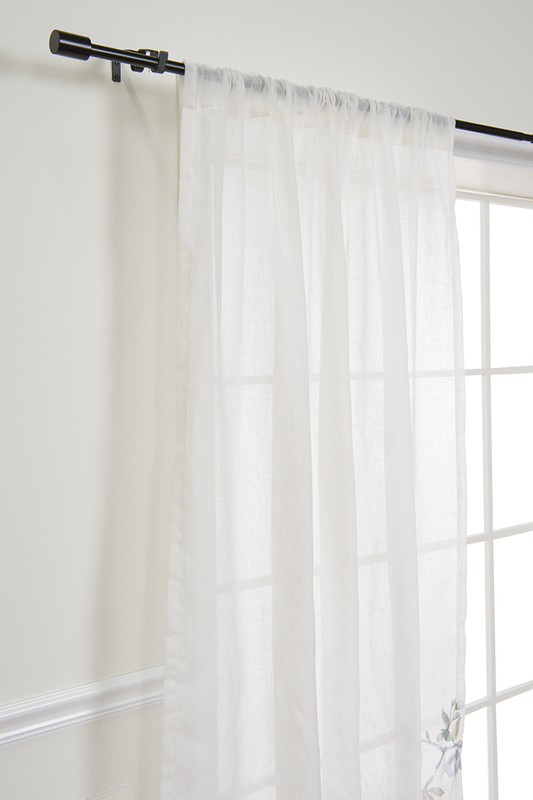 Rod Pockets: One of the most common hanging styles in the market for a reason, rod pockets feature a tonal, sewn-in hideaway for your curtain rod that conceals the hardware with a clean, classic finish. 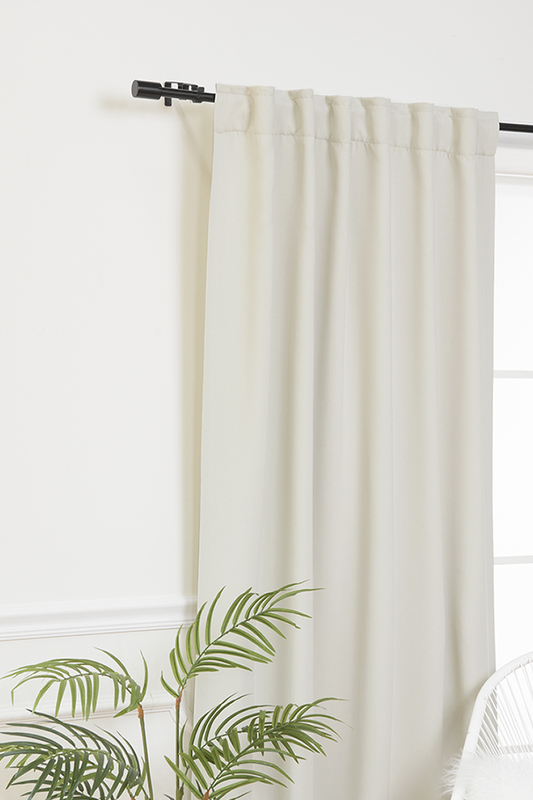 This style tends to give your curtains a soft, gathered effect along the top – as seen in our Faux Linen Bluebird Curtains – that works well for casual rooms and spaces. Grommets: Grommets like the ones on our Luster Velvet set give your curtains a bold, contemporary look thanks to the ring-shaped accents that incorporate shine and style. 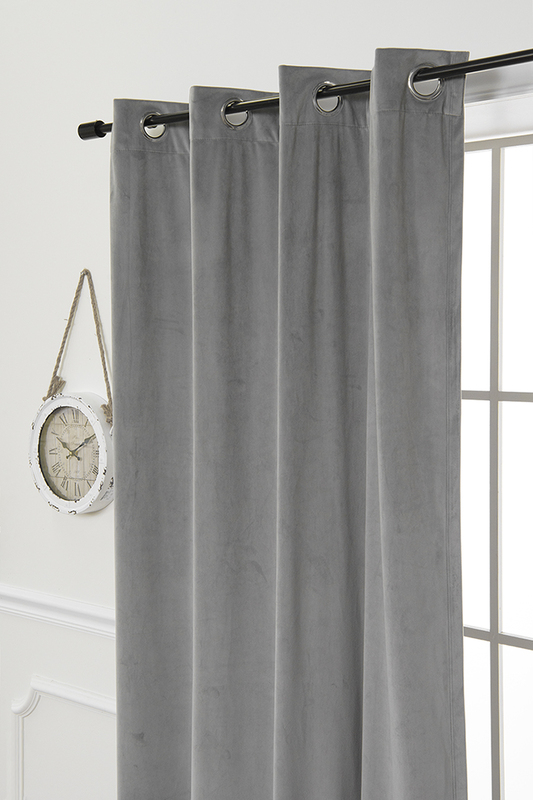 The curtain rod slides through the grommet rings for super simple installation and the drapery gets a pleated finish that looks extra polished. Grommets are also known for their functionality, making it easy to open and close curtains with no pulling or snagging. Tab Top: Tab tops are another casual-looking favorite where the rod is threaded through fabric loops that hang like individual tabs along the top of the curtain. The finish is unique and eye-catching and ensures an even pleated effect thanks to the spaced tabs so there is little to no adjustment needed once they are hung. 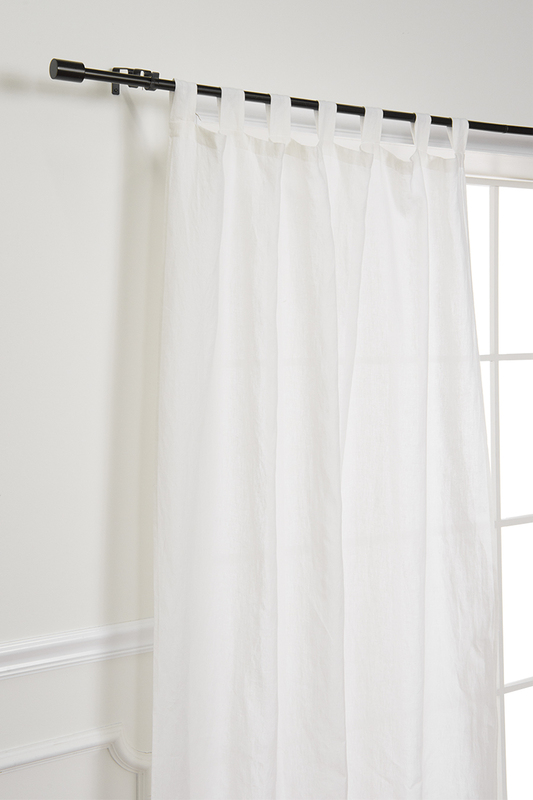 Our ever-popular Abelia Belgian Linen curtain comes in a tab top option that adds an extra element of design to the staple style. 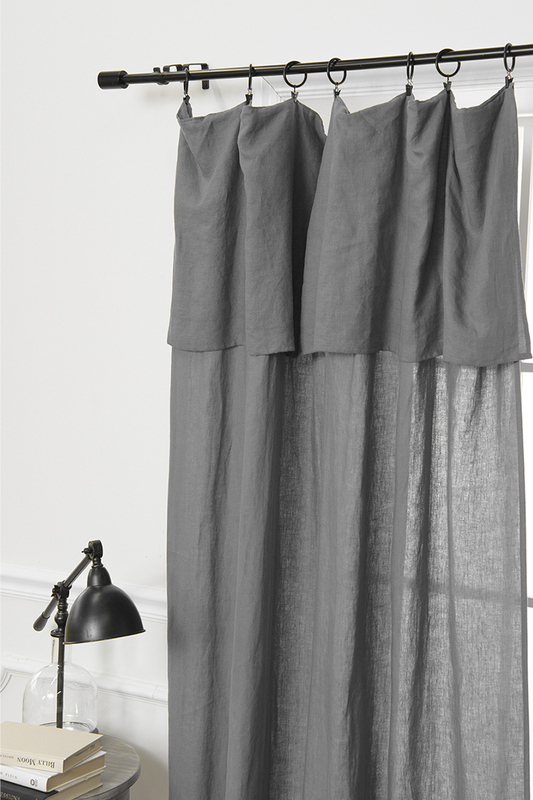 Back Tab: A back tab hanging style has the rod insert pockets sewn along the inside of the curtain so they are concealed and give the illusion that the curtains are floating on the rod. 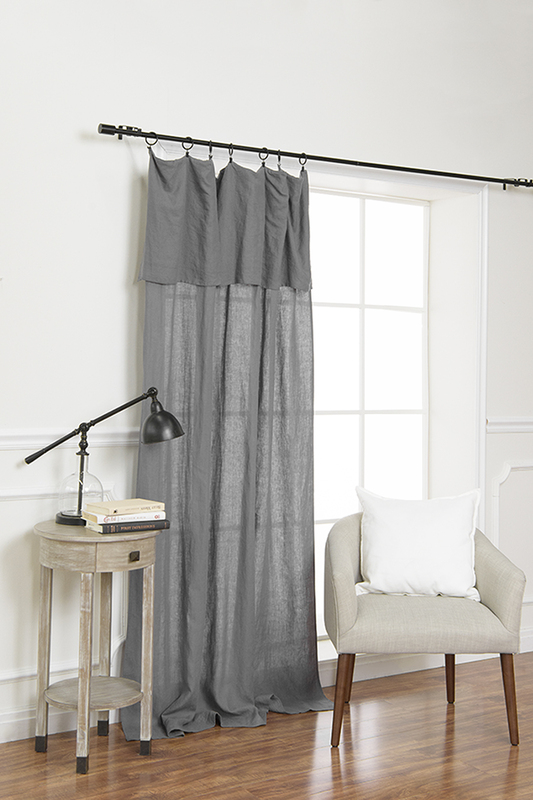 An elegant favorite for traditional spaces, back tabs like the ones on our Black Out curtain collection give you a crisp pleat throughout the length of the curtain and hide away the hardware for an elevated allure. Tie Tops: Tie tops are a fun, casual finish for a more playful room or space. 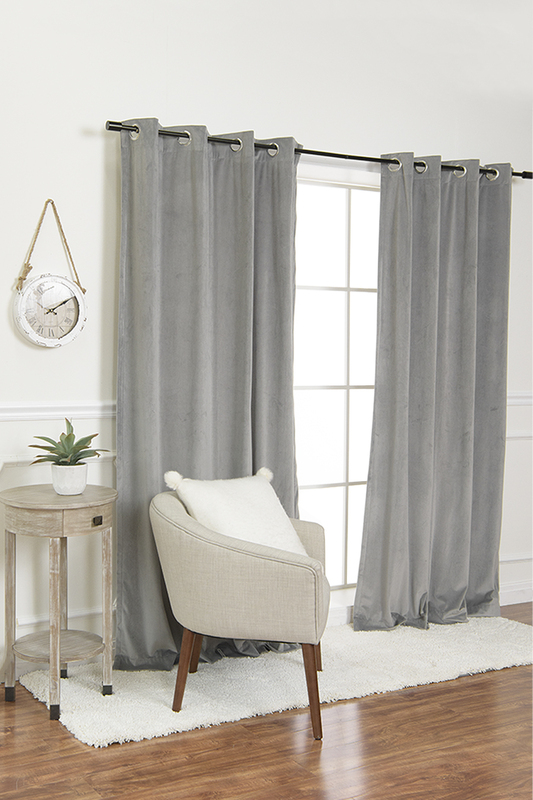 You tie the curtain to the rod with fabric ties that attach along the top of the drapery and quickly bring a relaxed look and feel to your favorite window perch. It may take some trial and error to get your ties looking just right, but we promise it’s worth the effort, especially on a sweet style like our Romantic Ruffle panels. Clip Rings: Clip rings give you a DIY finish that allows for flexibility and functionality with any curtains you choose. The rings clip to the edge of the curtain in a snap and let you layer different draperies and adjust the length and pooling of your finished look in a flash. You can also pick Clip rings in various metallic finishes to complement your color scheme perfectly. 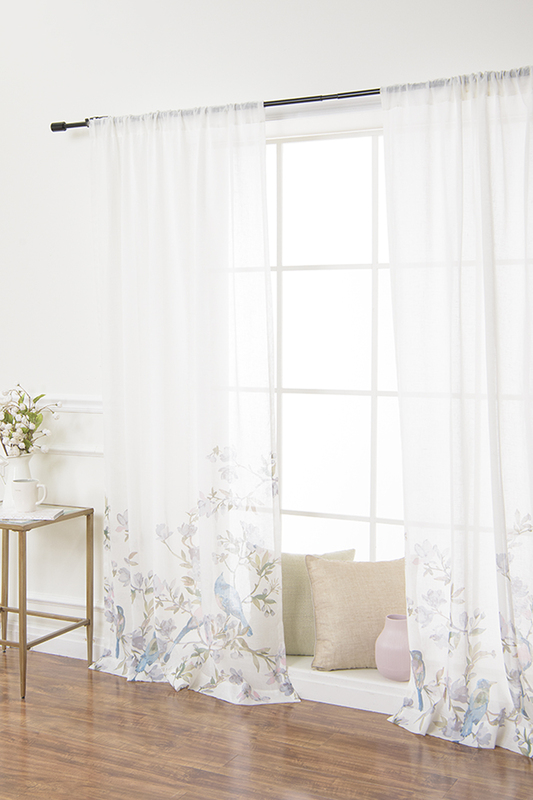 However you hang your favorite curtains in your home or office space, look beyond the draperies at the details that truly make the style yours. Adding a personal spin to your favorite space is the best way to make it stand out, both in terms of function and fashion.